Combining the classic styling of teak with the contemporary look of a market style umbrella, the Galtech 9' ft. rotational tilt teak wood outdoor umbrella is the perfect choice to compliment your open-air space. With its easy to use rotational tilt feature you can provide coverage from the harsh sun at any angle. It's sizable canopy, available in fade-resistant Sunbrella and Suncrylic fabrics, is sure to delight with its bold and bright colors. 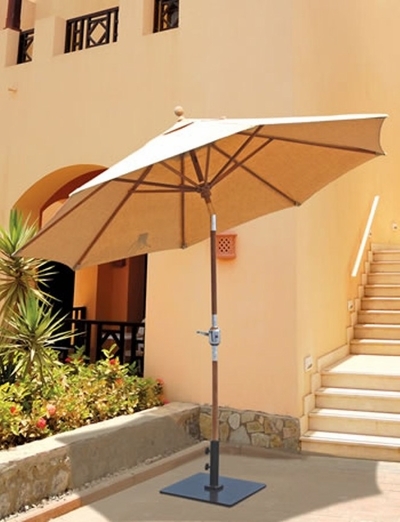 This outdoor teak umbrella is the perfect final touch to your patio space allowing you and your guests to have it made in the shade.